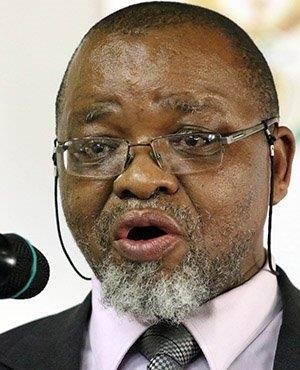 Mineral Resources Minister Gwede Mantashe has said the Mineral and Petroleum Resources Development Amendment Bill may be withdrawn Business Day reported on Wednesday morning. According to the newspaper, Mantashe was briefing Parliament’s oversight committee on mineral resources. The amended bill was first passed in 2014 and sent to then President Jacob Zuma for ratification. As Fin24 previously reported, in January 2015, Zuma sent it back to Parliament, citing concerns about the lack of consultation with communities and the possibility that the beneficiation provisions in the bill were in contravention of international trade agreements. According to Parliament’s website, the bill appears to be before the National Council of Provinces. On Twitter, the Department of Mineral Resources tweeted that the matter still had to be referred to Cabinet for a decision. The second issue is that of investor uncertainty: we are considering the withdrawal of the MPRD Amendment Bill from the Parliamentary process, but that is a matter that must still be taken to Cabinet for a decision. We will engage with the petroleum sector on their issues.